#1 ▸I accidently clicked "No" on the LeilaUI setup dialog! You now have to to load on of the following profils manualy. Disable or remove the AddOn nibUIScale. #3 ▸How to turn the flashing mouse cursor off? #4 ▸When I open DerpyStuffing (Bag AddOn) the default bag frames open as well. Press ESC and change the normal blizzard Keyboard layout. Try open all bags or just one bag with B one of that will only open Stuffing deleat the other key. #5 ▸How do i remove the default Blizzard Raid frames? 1. Go into a raid group. #6 ▸Buggraber is going crazy quiet a few errors, how to fix them? Please check if the errors are already reportet in the LeilaUI Buglist. 2. Klick on the "Range Checker" Tab. 3. Enter Spells from you spellbook that you have on any level and have your minimal range. Always remember to /rl your ui after switching Shadowed unit frame (/suf) profils! #9 ▸How do I view the calender? You can use idTip or wowhead URLs to find out Spell IDs. #13 ▸How do i change the Fonts? It dosen't show Chinese/Japanese/Russian characters! So if you always use the same name and just replace to font it may work... but maybe you have to change the fontsize of the addons ingame. Make shure you restart the game completely after replacing a font. Thats Inline Aura - i already heard about this showing things i personaly don't want to show but i haven't got a Warrior/Hunter to test it so its hard to fix that for me. 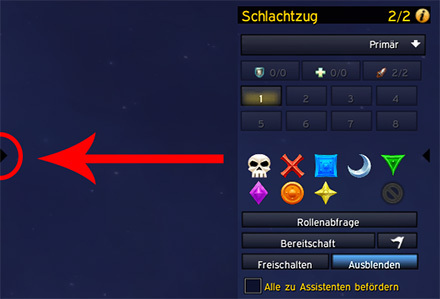 So just do it yourself by going into -> ESC -> Interface -> Addons -> Inline Aura and press the + button -> now go to Spells (Zauber) and choose the Spell you want to change (Steady Shot) set the "Preseting" (german: voreinstellung) to "ignore"
#15 ▸How can I make it so my spell e.g. lifebloom/rejuvination will show as an icon/duration in SUF raid frames? 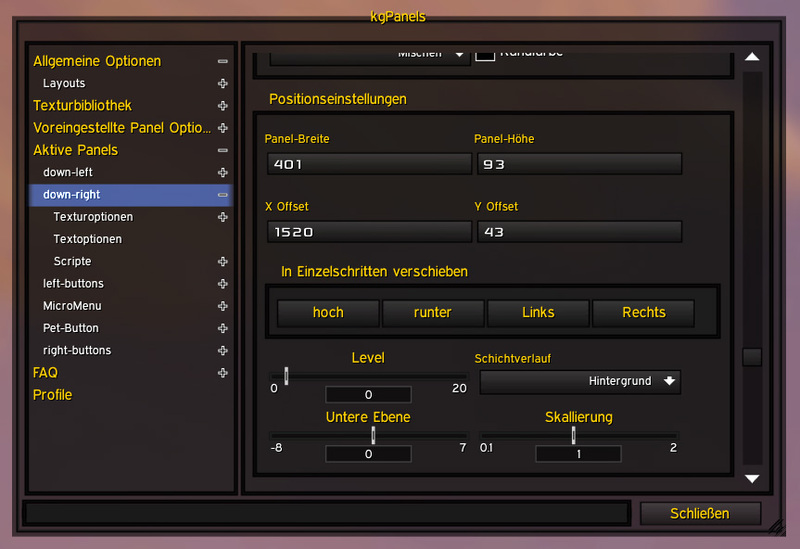 #16 ▸Is there any way i can updated LeilaUI but not lose the changes i have done with Ravens and other addons? 3. Only copy and replace the SavedVariables that you like to update. See Change Log what has been changed and if its realy important for you to update. #17 ▸I want to unlock my castbars and relocate them, but it keeps going back to the previous location instead of saving to where I relocate them. The Cast Bars are anchored to special positions on the screen so that they stay at the same place no matter what your screen resolution is.